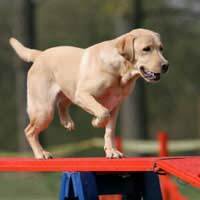 Most of us will have seen hilarious home made videos of pets ‘performing’ all sorts of antics on TV shows like ‘You’ve Been Framed’, and whilst many of us will have seen our pets getting up to mischief at some time or other, unlike humans, they’re rarely able to ‘perform’ for the camera when we want them to. Therefore, unless your pet is highly trained, it’s often more of a case of good luck or timing when it comes to capturing our pet’s funny activities on video. That said, some people may simply want to capture some ordinary footage of their pets to keep in order to chart their progress from being young to when they’re older and it’s often a nice thing to be able to look back on the memories our pets provided us with when they have passed away. Below are some useful tips to follow. Unless you’re lucky enough to catch your pet in a mischievous or playful mood where their actions will compensate for any positioning of the camera, you should be looking to get down on your hands and knees and to try and film them on their own eye level. Sometimes you end up with even more interesting results if you get below their eye level. Alternatively, if your pet is small enough, lift them onto a table or some other elevated surface to shoot footage of them. Many pets will simply stare at you and stay completely still if they see you pointing a camcorder at them or will move away entirely. It’s better if you can capture them on film without them even knowing. That way, you’re more likely to witness spontaneous behaviour. Perhaps they’re out in the garden playing with one of their favourite toys or maybe you can film them chasing a ball which one of your children has thrown for them. Action shots are far more likely to be successful if somebody else has engaged them in play, leaving you to get on with the filming without your pet even knowing. Cats and dogs, in particular, will often perform tricks for certain members of the family so, if this person happens to be you, let somebody else take over your filming duties whilst you try to coax your pet into action. You might want the personality of your pet to be reflected in the video you’re making so things like offering them a treat can often cause them to react in a way which reflects their joy. In a dog’s case, for example, they may pant at the thought of a treat and some can literally go crazy with joy if they hear you getting their lead out to take them for a walk. Pet toys also can often cause them to react in more excitable ways than they would normally do which can make for more interesting footage. Filming pets and getting the kind of footage you want can often involve keeping the camera rolling for a long time and having lots of footage to edit at the end. Depending on what you’re hoping to get out of it when filming your pets, it can involve a great deal of patience. However, if you do catch them in one of their more funnier and unpredictable moods, some of their antics captured on film will be something you’ll want to treasure for years to come.